For those of us who lobbied for a nuclear restraint agreement with Iran, the accord that was finally finished in mid-July and has now gone into effect is a sterling victory. It removes a thorny issue of Iran’s nuclear ambitions for at least 15 years and has the potential to open a new era in US-Iran relations. But it has costs, too, and at the moment these costs predominate. The good news is that Secretary of State John Kerry and Iran Foreign Minister Javad Zarif continue to talk. Considering how little talk there was before 2013, this is a small miracle in itself, and it has great potential. If Kerry and Zarif can invent practical approaches to stopping Syria’s civil war, it could dampen the region’s greatest crisis of human security. It remains an elusive goal (and requires Russia’s agreement), but it is possible because Syria is a bleeding sore for all concerned. The other most pressing crisis is ISIS. There has been some cooperation between Washington and Tehran on the war against ISIS, but there could be much more. Turkey’s aggressive moves against the Kurds — a key force fighting ISIS — is a more urgent problem in confronting the jihadis, as is Russia’s intervention. But common interests may win out. 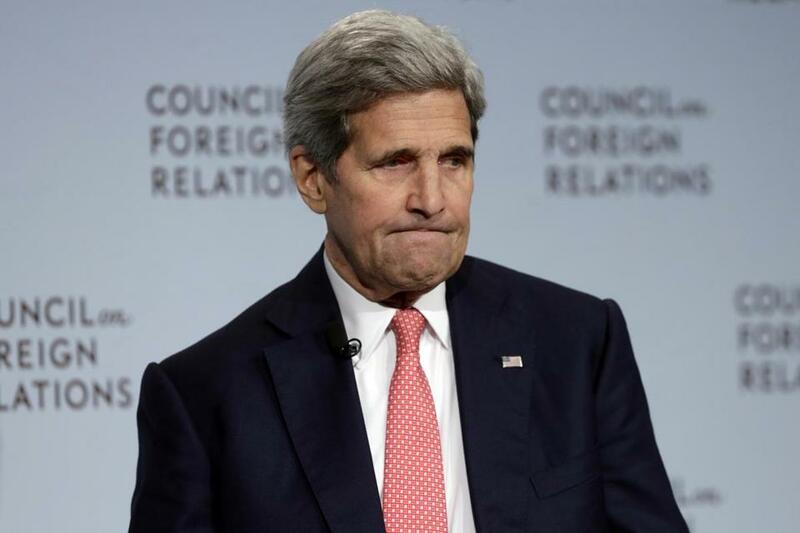 What’s more troubling, however, is the price paid to pave the way for the Iran nuclear accord. Israel is reportedly receiving a major boost in US military assistance, hardware used mainly in Syria and against Palestinians. More troubling is US support of the Saudi assault on Yemen, supposedly a proxy war against the rebel Houthi tribe that is loosely aligned with Iran. Some 2,000 people, mainly civilians and a third of them children, have been killed by Saudi bombing that uses American-made aircraft and US-supplied intelligence. Most experts see this support as a quiet quid pro quo to Saudis and other Gulf monarchies in exchange for their acquiescence to the Iran nuclear deal. The Syrian debacle is another price. Placating President Recep Tayyip Erdogan in Turkey is one example, allowing Turkey’s assault on the Kurds to proceed. The United States is edging away from its 2011 declaration that Syrian President Bashar al-Assad must go, possibly a bow to Iranian interests. Meanwhile, the United States has failed — intentionally? — to prevent the Gulf monarchies from supplying Al Qaeda in Syria. The president’s bully pulpit shouldn’t be used to bully Americans who oppose the deal into silence. The Obama team has little to be proud of in the region. It refused to constrain Israel’s violent assault on Gaza in 2014. It helped overthrow Moammar Khadafy in Libya, then disappeared as the country descended into chaos. It prompted the ouster of Hosni Mubarak in Egypt, but now is backing an authoritarian general after a coup. It facilitates a totalitarian state, Saudi Arabia, in its war on Yemen and suppression in Bahrain. The ISIS threat is as vivid as ever. It’s small comfort that the invasion of Iraq under Obama’s predecessor set some of this in motion. And the charge that Iran supports all this mayhem is spurious. US allies deserve much more blame. The Iran deal triumph was the work of arms control experts, not Middle East policy makers. 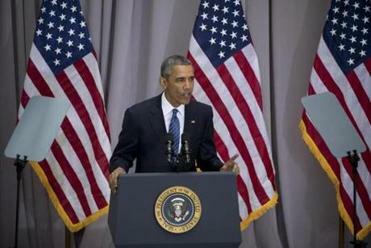 The Obama advisers on the Middle East have been unable to anticipate events or respond creatively to them. The tight circle around Obama baffles knowledgeable outsiders and yields no more than improvised policy outbursts, none of which succeed. The foreign policy team is incompetent and morally vacuous. One further effect of the Iran deal is to implicate the United States in the region for years to come. Even if we decided to ignore inept and fratricidal Arab states and bloodthirsty religious feuds, the deal keeps us there to make sure its provisions — which are potent and important — are not subverted. That and the ever-present stranglehold of the oil economy will ensnare us for decades to come, a pitiful legacy of this most remarkable diplomatic achievement.